Hashtags are all over social media. They’re even in every day conversation. They’re used to identity messages/posts of the same type. But why is that important? How are they “made”? We’re going to explore that bit and help you learn why you need to use them in EVERY social media post. As we’ve already stated, hashtags are primarily used to make searching for social media posts easier. You can find like posts more quickly. You can find others to follow more quickly. Others can find you more easily. You can join a conversation. Hashtags are often used for “chatting” online. This is particularly true on Twitter. Follow a hashtag, and you can follow a conversation. Hashtags are also used to denote trending topics on social media. Social media users are often drawn to trending topics. It generates excitement and interest. Plus, it’s free! They are great marketing tools! So, how do you build a good hashtag? You should start with something that is short and meaningful. This is especially critical on Twitter since there’s a character limit. The hashtag should be easy to read. Its meaning should be easy to discern. How does all of this apply to North Carolina wine? It’s all about promotion and online presence. It’s about working together and creating a consistent identity for North Carolina wine. It’s all about #NCWine! Please use hashtags in ALL of your social media posts. 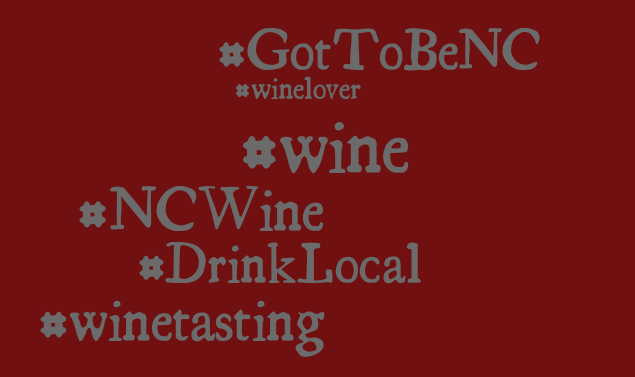 Please use hashtag #NCWine in ALL of your posts! We need a clear, concise standard. 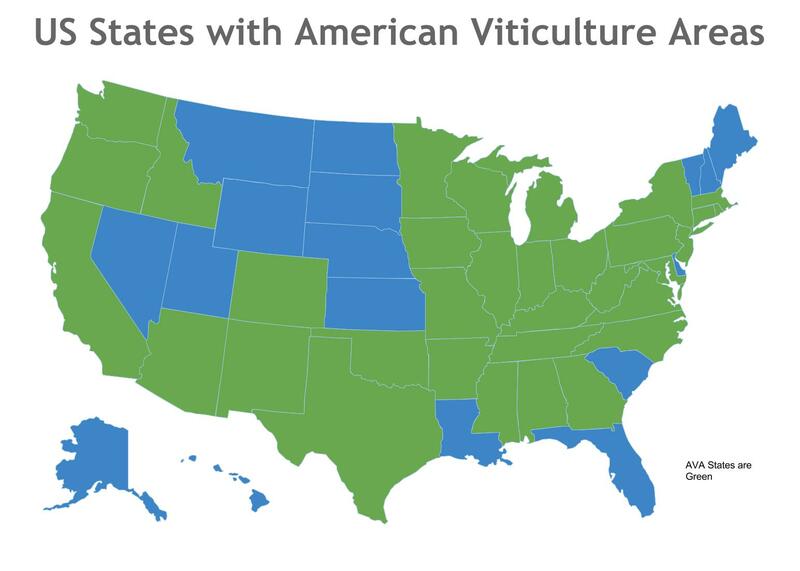 We need a hashtag that aligns with the standard for other wine regions. No ‘s’ on the end PLEASE! We need a consistent brand. Create a short and concise hashtag for your brand. Use it with every post on every social media outlet. Encourage its use in your tasting room, etc. 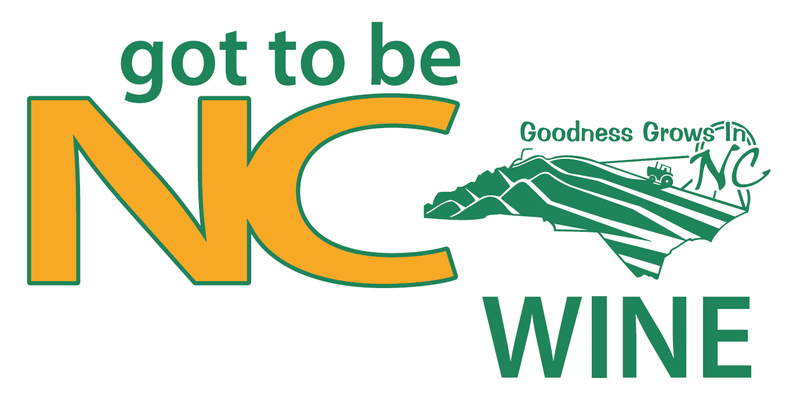 #GotToBeNC – Consistent brand for products from NC. #drinklocal – The local movement is big right now. Capitalize on that! If it’s a holiday or special event, find a way to post using that hashtag (e.g. #NationalWineDay, #WineWednesday etc.). #wine, #winetasting #winedinner are other good hashtags to use if they apply. On Twitter, use them anywhere in your post. On Facebook and Instagram, use them (typically) at the end of your post. Phrases or sentences should not be turned into hashtags. They’re often difficult to read. Case doesn’t matter, but sometimes capitalizing letters can make the hashtag easier to read. To summarize, please use hashtags in EVERY social media post. And ALWAYS leave room for the #NCWine hashtag. If you need more advice on hashtags, send us a note. We’re happy to discuss! Visiting a winery’s tasting room is one of life’s simple pleasures. Each experience is unique. It’s a great way to experience a variety of wine and find something new to drink. If you’ve never had the experience or if it’s been awhile, here are some suggestions to make the most of your wine tasting experience. Plan ahead! Check the winery’s hours. You don’t want to arrive within 30 minutes of closing and expect to taste. Most wineries stop tasting 30 minutes before closing. Some require a reservation. Walk in and take a look around. If there’s line, patiently wait. 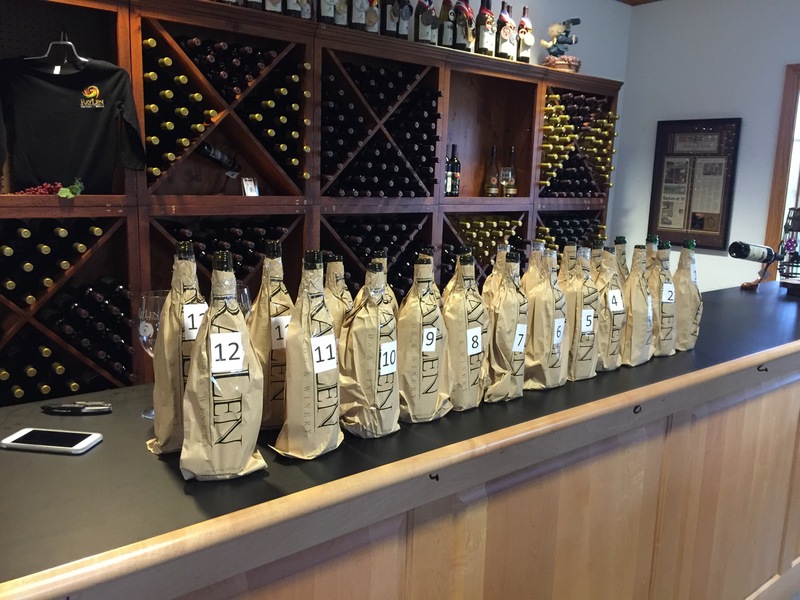 Determine if you need to prepay for your tasting. Don’t prematurely judge the experience by the look of the tasting room. 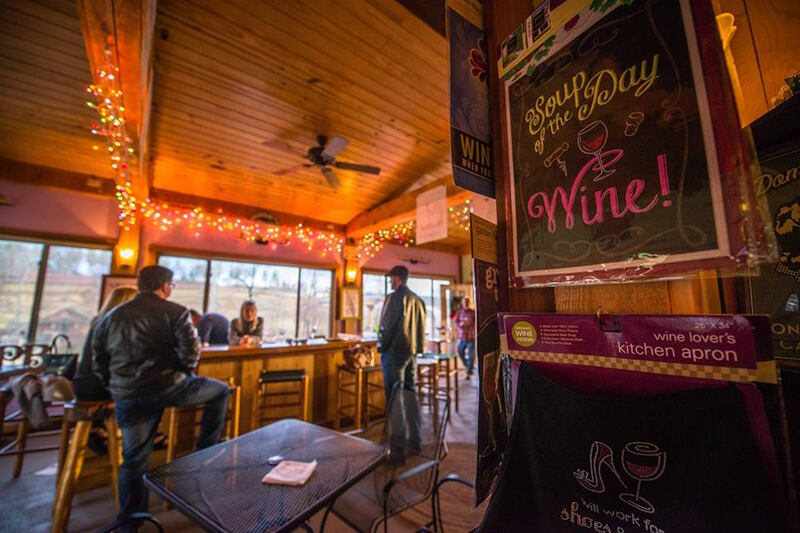 We’ve had plenty of great tastings at hole in the wall wineries. The opposite is also true. The most opulent tasting room doesn’t necessarily mean the best wine. Make your choices. Select a variety of wines. If you like sweet wine, pick at least one dry and vice versa. The same can be said for red vs white. If a premium tasting is an option, take it. It’s premium for a reason. Don’t be afraid to ask to taste something that’s not on a list. Often wineries will accommodate special requests. It’s ok to share with a friend. This is especially true if you’re doing multiple tastings in a day. Most wineries allow this and will even split the amounts between glasses, so you don’t have to share one glass. It’s ok to pour out wine even if you like it. Again, if you’re driving and/or doing multiple tastings in one day, you need to be able to remember what you’ve been tasting. Otherwise, you might end buying a bottle of wine you’ll hate later. It’s ok to spit. This is another alternative to sharing and/or pouring out. If you’re not comfortable spitting directly in the dump bucket, ask for a small cup or another glass. Spit in that and then pour into the dump bucket. This aerates the wine. It helps to open the wine up to its full smelling and tasting potential. You taste what you smell. Try to pick out at least two distinct smells. Check out the color, Color will tell you a lot about the health of the wine. You don’t want a red wine that’s got a brown edge. That means it’s likely too old. Hold the wine in your mouth for at least a second before swallowing or spitting. Do the tastes match the smells? Is there a difference between what you taste initially, the mid palate taste and the finish? Is the finish long or short? Take notes! You want to be able to remember what you’ve been tasting. This will also help you later if you buy a bottle and want to pair it with food. Have a cracker between different wines. You need to cleanse your palate. If crackers or other palate cleansers are not readily available, ask for them! Don’t bring your children. Children are a HUGE distraction in tasting rooms. If they can’t drink the wine, they don’t belong there. Be considerate of other tasters. Respect their space and their ears. Don’t be too loud. Wine tasting should not be a way to get drunk! Don’t just gulp the wine. Your taster will not appreciate that and may refuse to serve you if you’re too far gone. Engage with your taster. Ask questions about the wine. This helps your learn! These are just a few suggestions to make the most out of your wine tasting experience! Let us know what you think! Cheers!